Dublin based ladies fashion designer and tailor, Maire Forkin, offers a made to measure service with excellent quality, fit and finish. Her timeless investment pieces are great value for money. Maire provides her customers with an exclusive range of luxury fabrics which are available in a wide range of colours. She creates bespoke outfits made to best flatter the clients particular silhouette and taste. Her style is underpinned by creative pattern cutting, skillful sculpting and artful use of jewellery, and has an identity all of its own that she describes as “clean, chic and contemporary”. 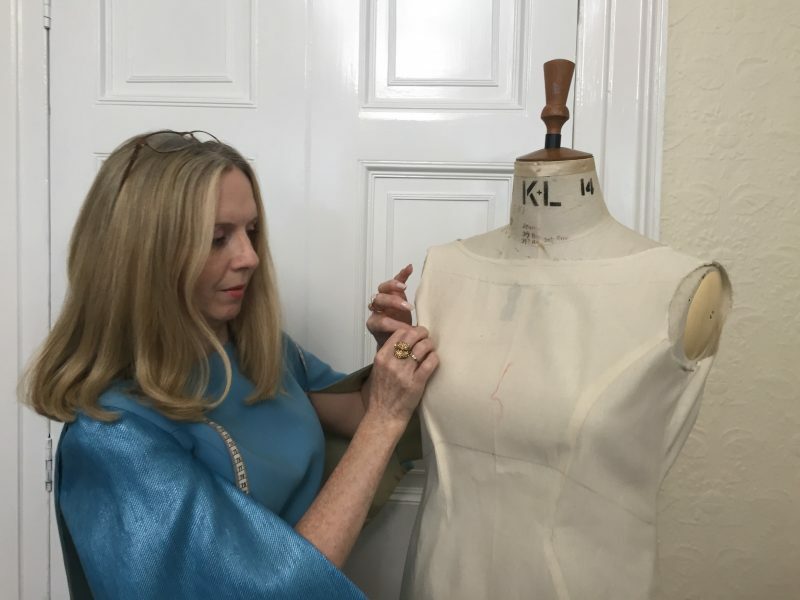 Maire meets with her clients at her studio in Fitzwilliam Square in Dublin for an initial consultation, which is followed by one or two subsequent fittings before the garment is completed. At the consultation she discusses the shapes, styles and fabric choice which best suits the client’s requirements. Different silhouettes are tried to identify the most flattering style, structure and fits before a final decision is made and a personal pattern constructed for the client. The lead in time for an outfit to be completed is approximately six to eight weeks, although this may vary depending on the time of the year.